RS Components has announced the availability of a new mbed application board. 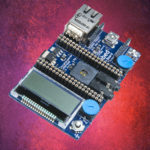 Based around the mbed developer platform, the new mbed application board includes a host of connectors and external interfaces, eliminating the requirement for add-on boards and thus reducing valuable design time for engineers. The new application board is credit-card sized (54mm x 86mm) and is specifically designed for use with the mbed NXP LPC1768 microcontroller module. Providing multi-functional capability, the new board enables the maximum number of potential experiments and projects, while retaining board footprint at a minimum. 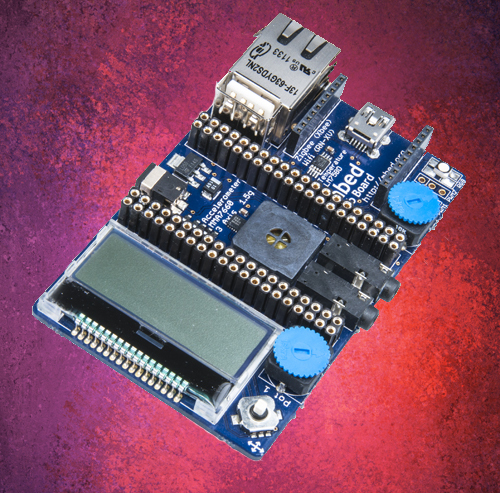 The mbed application board offers an impressive array of features including a 128 x 32 graphics LCD; a 3-axis accelerometer; temperature sensor; servo-motor headers; PWM controlled LEDs; socket for ZigBee, Wi-Fi and Bluetooth wireless connectivity; Ethernet and USB connectors; and a speaker and I/O audio jacks.